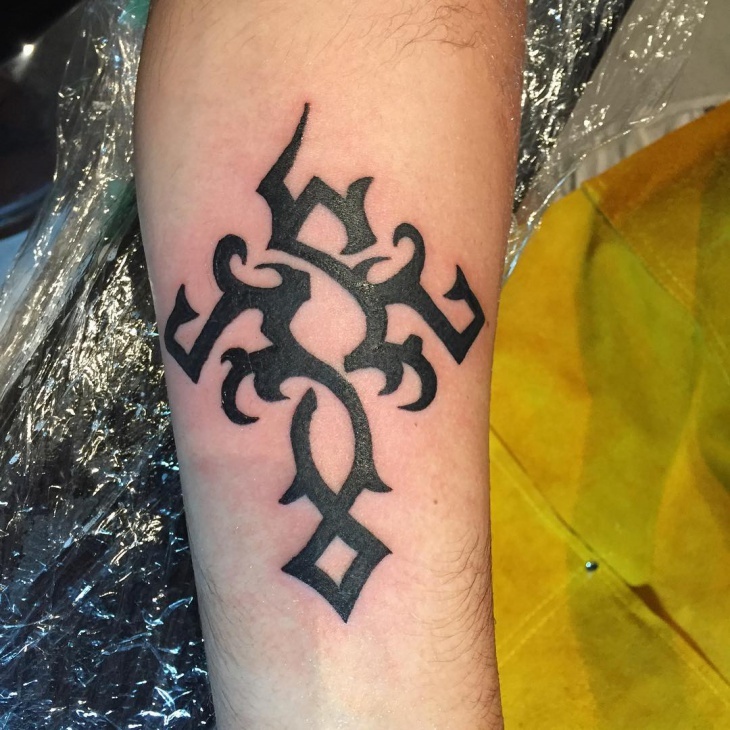 This symbolic design corresponds to one’s spirituality and religious background. 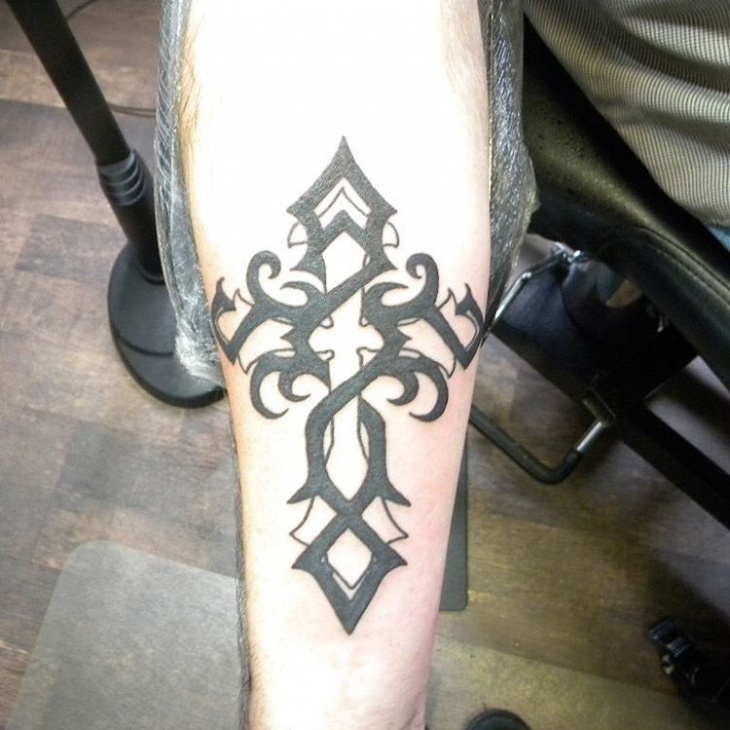 The Tribal cross tattoo design is the most faithful and trusted icon in the world. 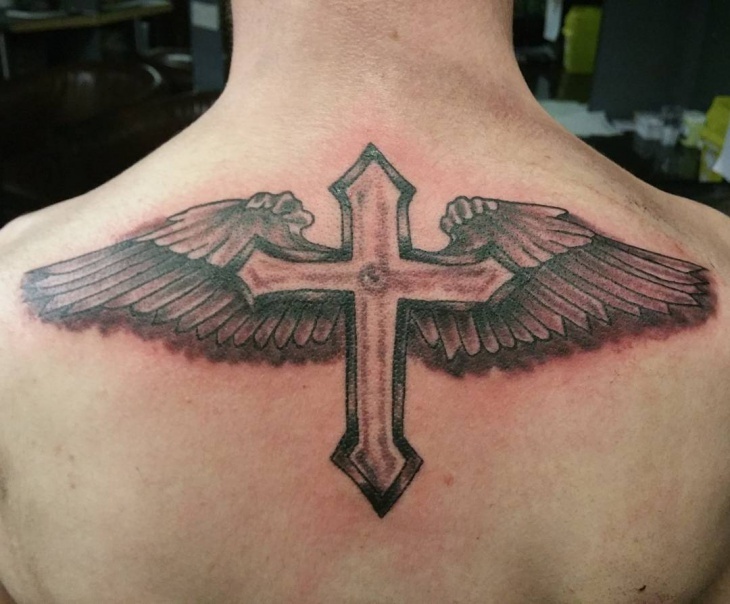 Some people say that this tattoo protects from the evil spirits. 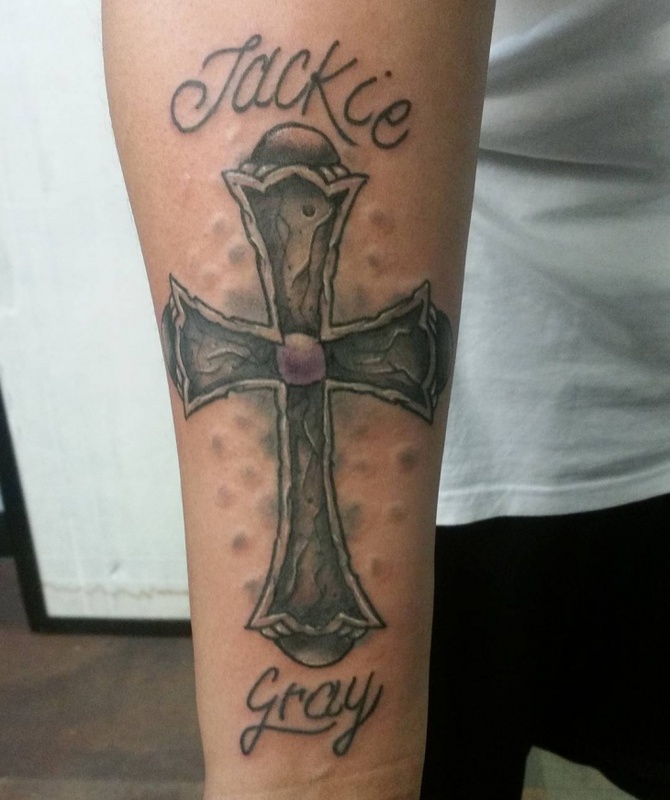 The most beneficiary advantage of these tattoos is that they are available in almost every size. From small to large, you can get whatever you want. 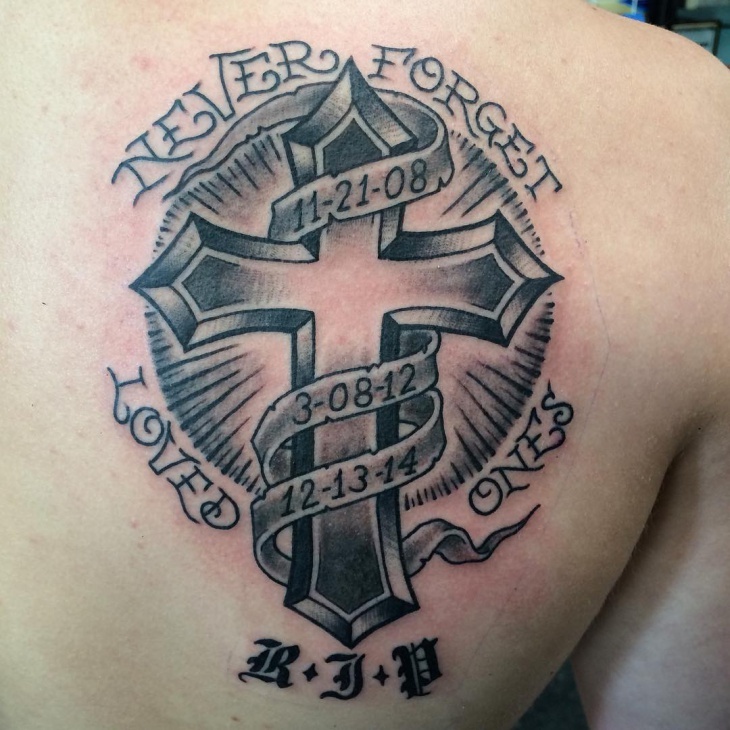 One can put it on their chest, foot, ankle, rib, and wrist or even on the back. The design is the symbol of love and fear. 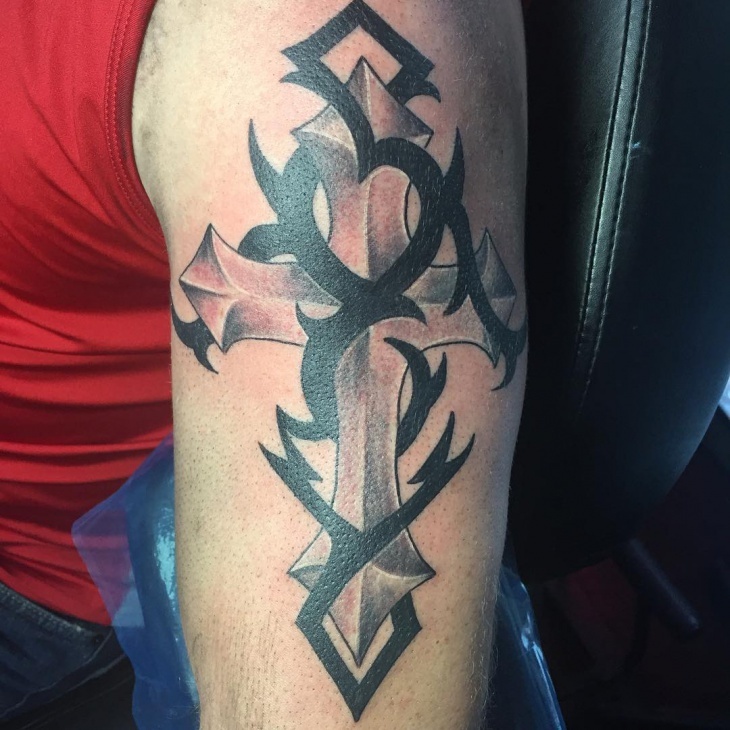 This cool design applies smoothly on the arm. The design is little typical to understand for one who sees it. 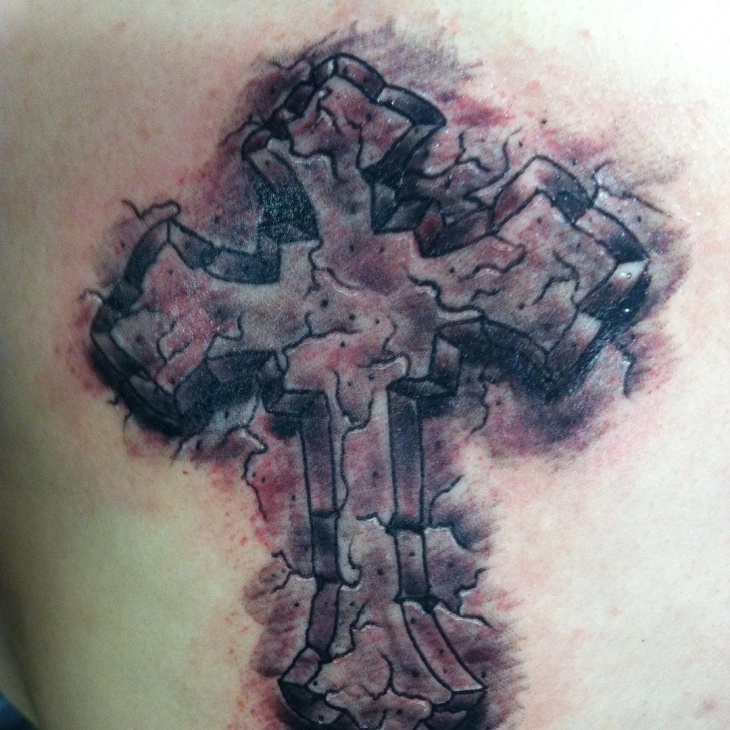 Men love to get this tattoo design done on the side rib. 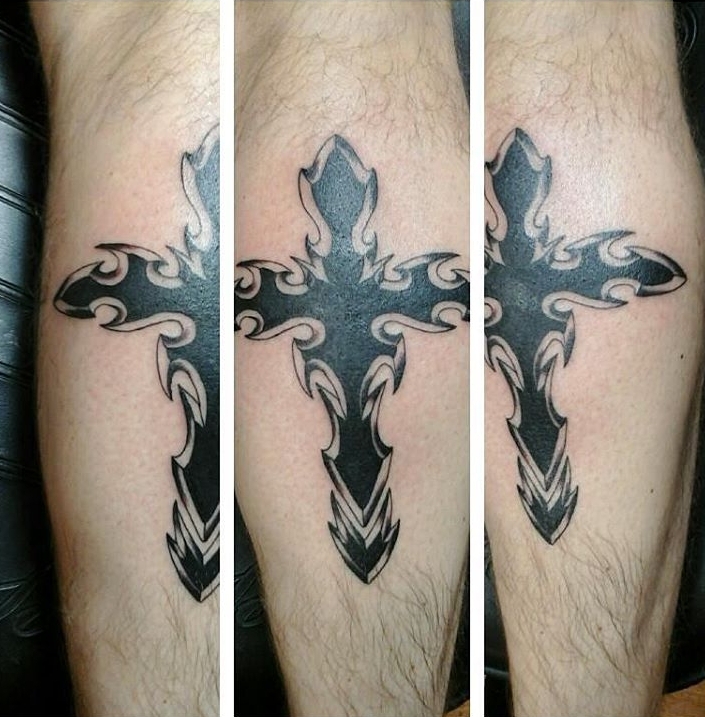 The cross tattoo may look very cool when combined with different designs. 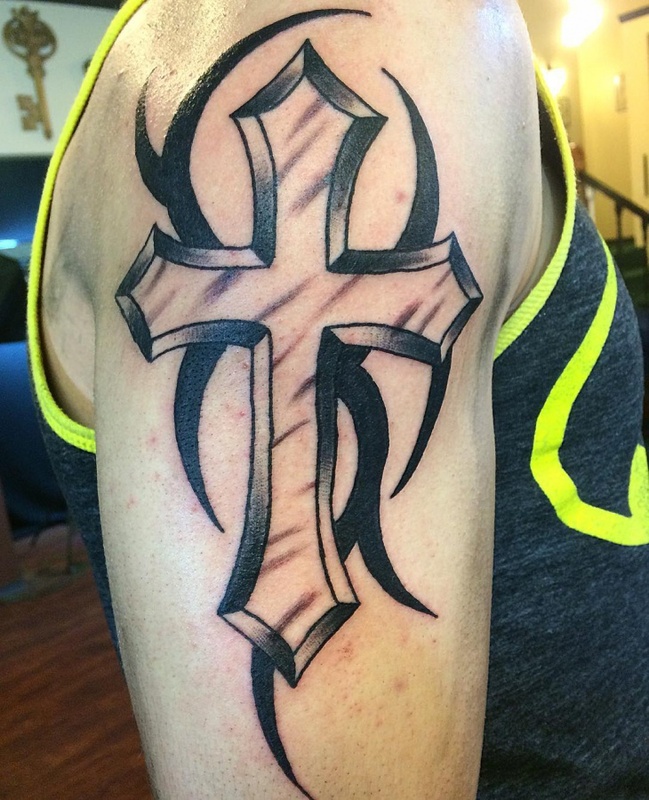 It delivers a 3D look that pops up the design of a simple tattoo. 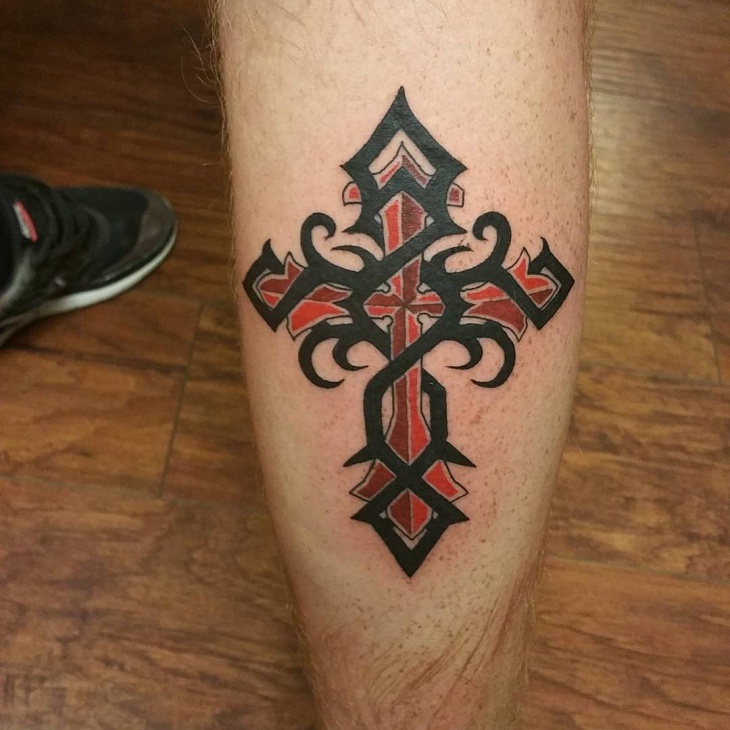 The specific color combination is black and red with this tattoo. 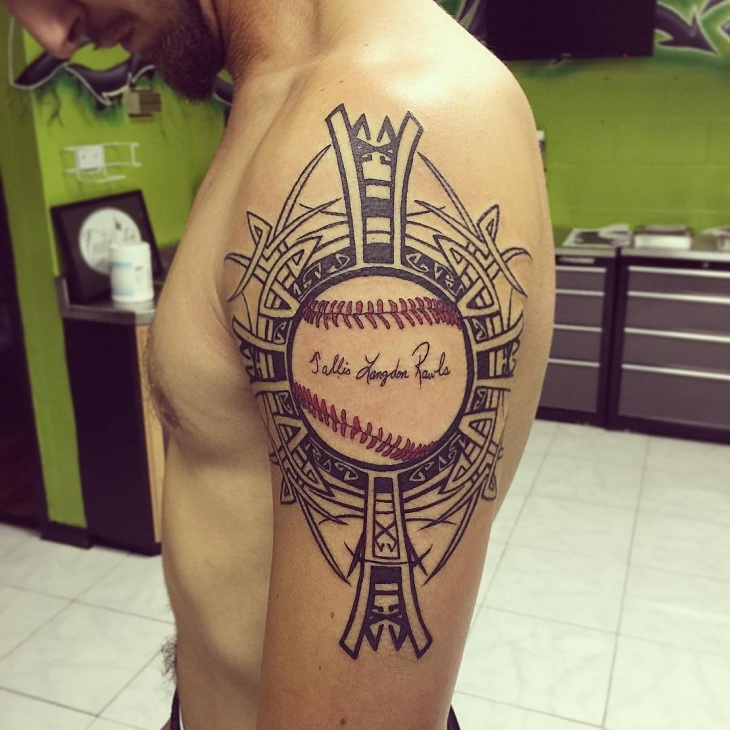 This tattoo design is more appealing than any other. Use vibrant red and dark black hue to get the exact design. 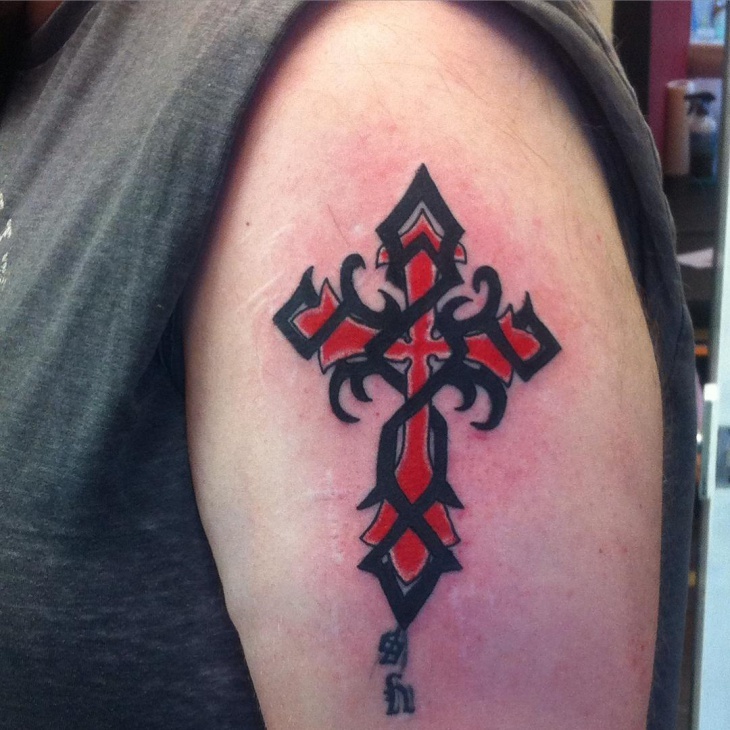 The idea is to make a four pointed cross and fill in with powerful, passionate and strong red color. 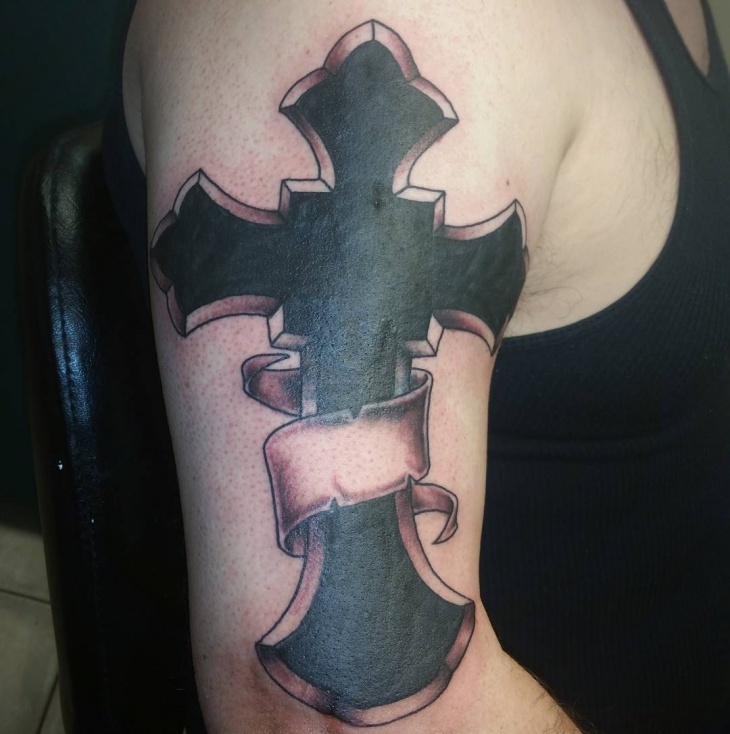 Make solid thick lines and wrap it around the cross. 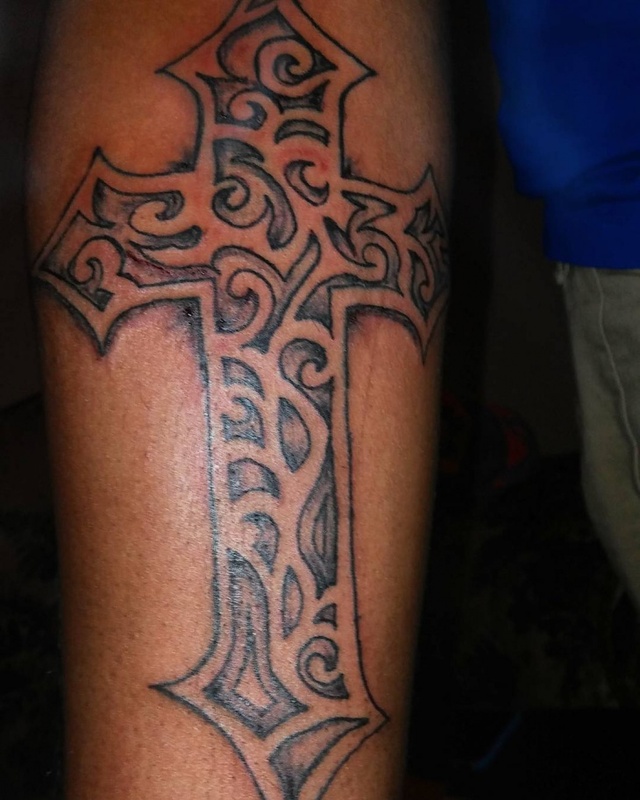 If you do not like detailing in your tattoos, opt for this design. 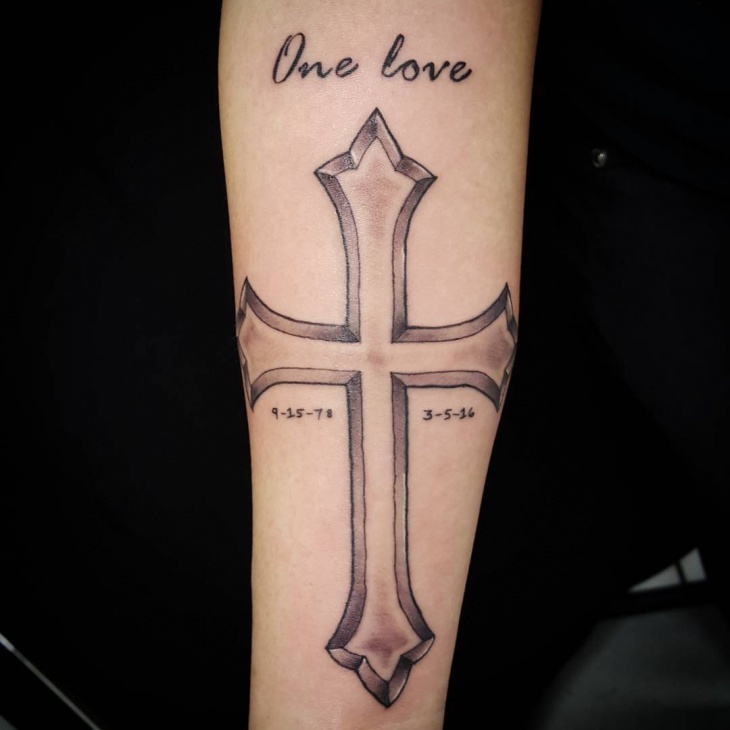 The plain cross design looks simple yet beautiful on every boy and girl. Somebody who wants some extra outlines comprising waves, curves and strokes should surely go for this one. Make it happen in a black hue. 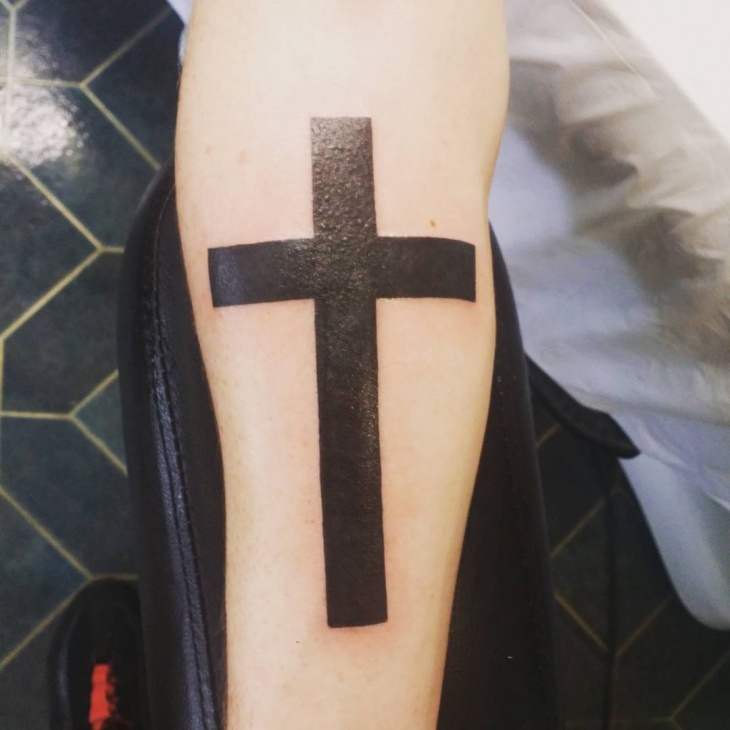 This cross tattoo adds a new meaning to the spiritual world. 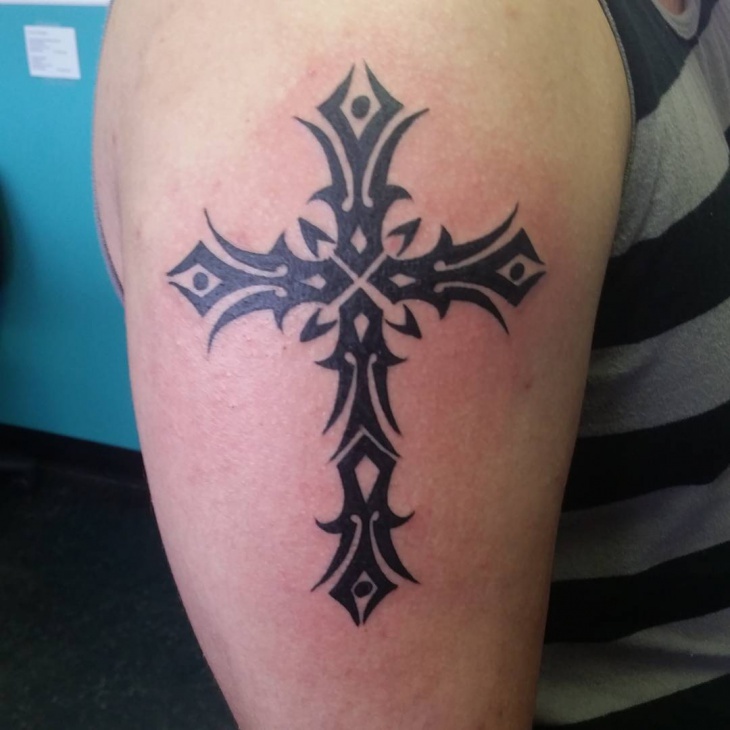 The design is very simple but is mostly used for expressing your religious faith and trust. More often, girls paste these tattoos on the back. 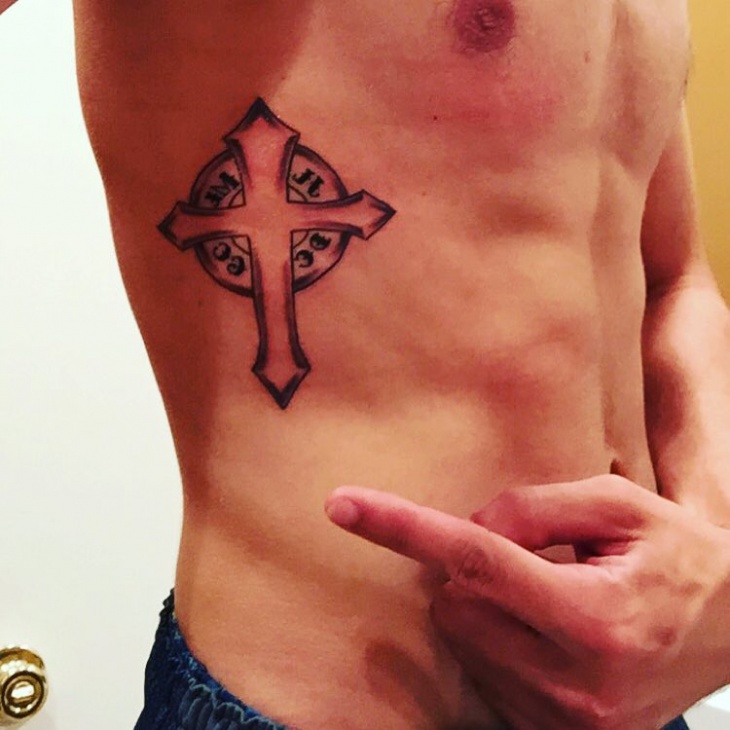 The tattoo shows how religious you are in your life. 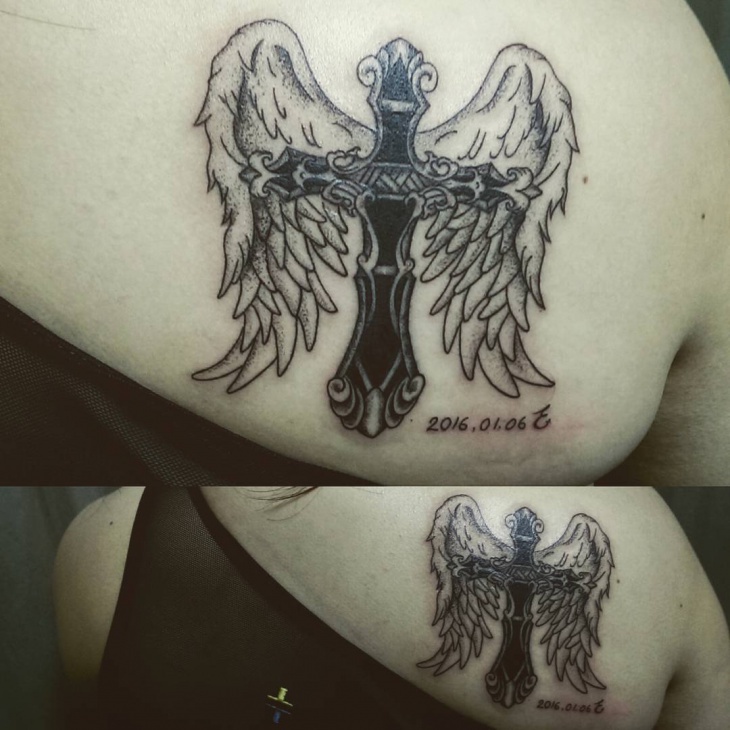 The design is beautifully portrayed on the back side of the neck of a girl. 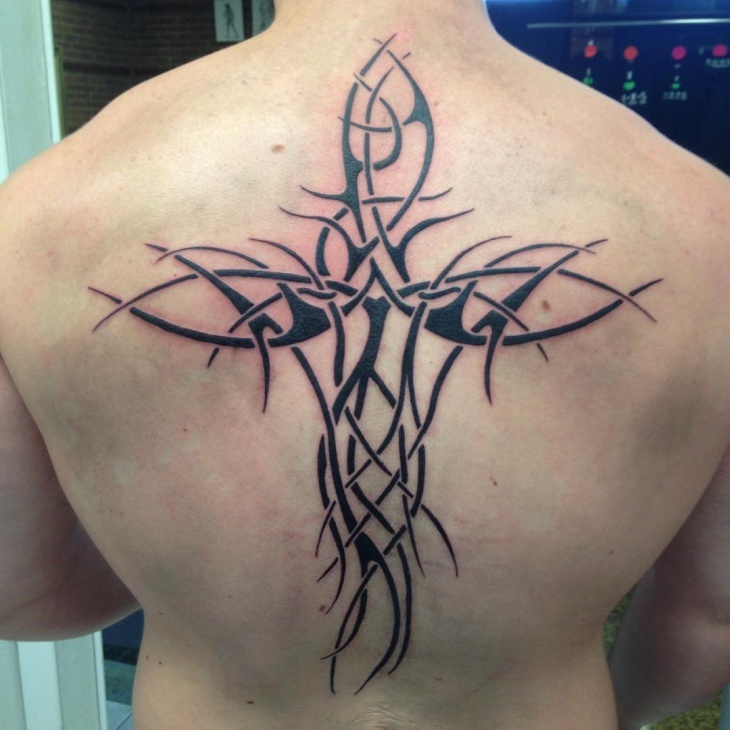 The tattoo delivers the much divine appeal. 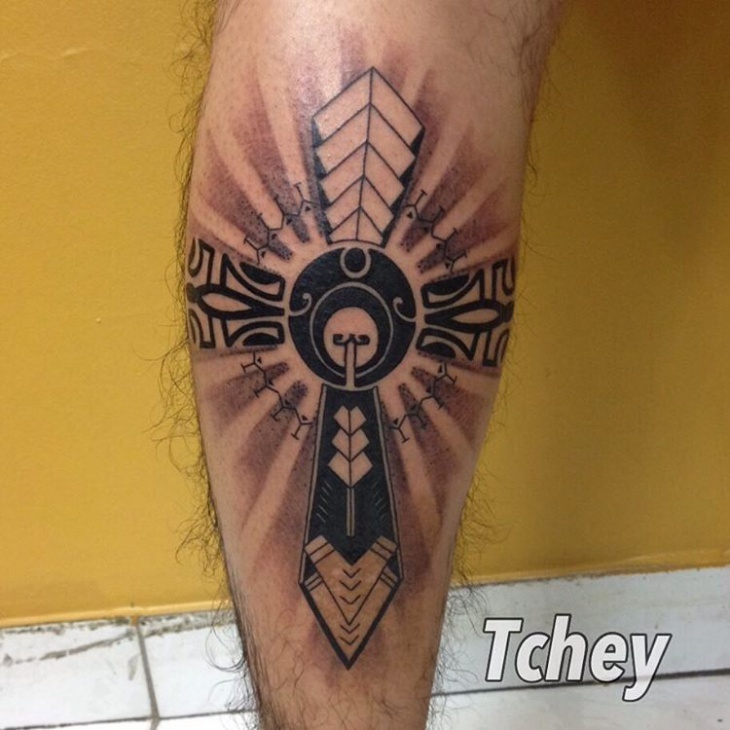 This tribal tattoo is very thick and simply goes well near the stomach. Let the throne stinging design embrace your neck. This kind looks amazing on the body-builder guy. 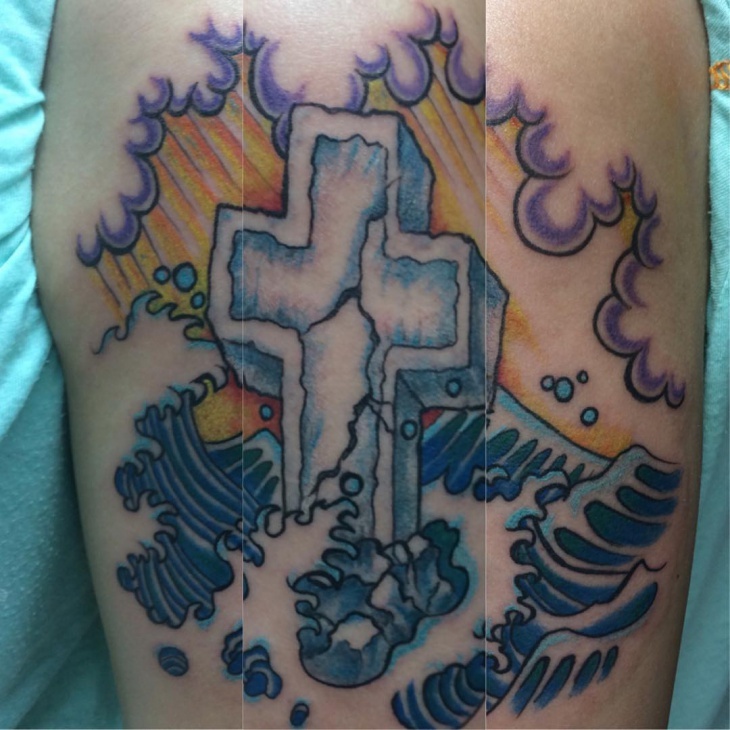 This modern and artistic tattoo with different shades of black and blue must be applied in the bold and brave hues. Make a pointed cross and within a circle of a defined frame, leave some twist and loops. The design is both for girls and guys. The design is the combination of vibrant colors, gigantic wings with delicate feathers, and a thick sparkle blue colored cross. Better to ink this massive size tattoo on the back. 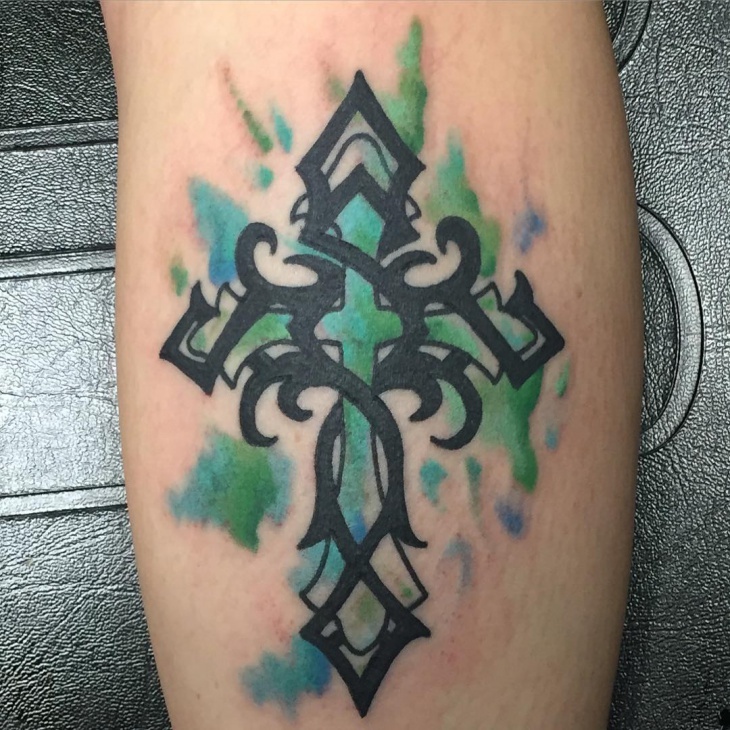 This design is good enough to stand out among the beautiful tribal cross tattoos. It exhibits the thick cross figure with both sides of the pointy edges. The uniqueness is the eagle wings that spread out and stretched right at the back. One can feel the freedom and strength of flying up in the sky. 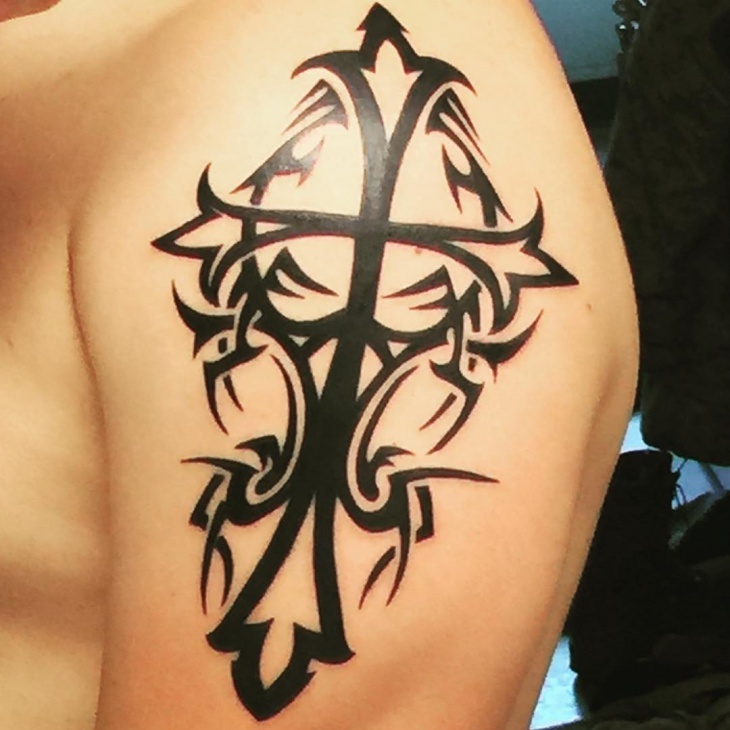 Every tribal cross tattoo has a meaning, whereas some deliver your religious faith and some other reveal your love, and some show the power in you. Always think what kind of expression you want to put forth and then pick the design. The color effect lays down a huge impact.